My windows are open as I write. My mind, followed by my eyes, moves to the nearest open window. My ears hear songs of birds, familiar, yet unidentifiable. I haven’t studied birdsong. A few days ago I spent a few hours sitting on a front porch with a new friend. Her yard was an oasis, sheltered from the rest of the world by the trees that surrounded it. Her children played as we talked. At one point she pointed out the wren’s song, making sure her children heard it, too. I wanted to remember the particularities of the call. I’ve forgotten already. 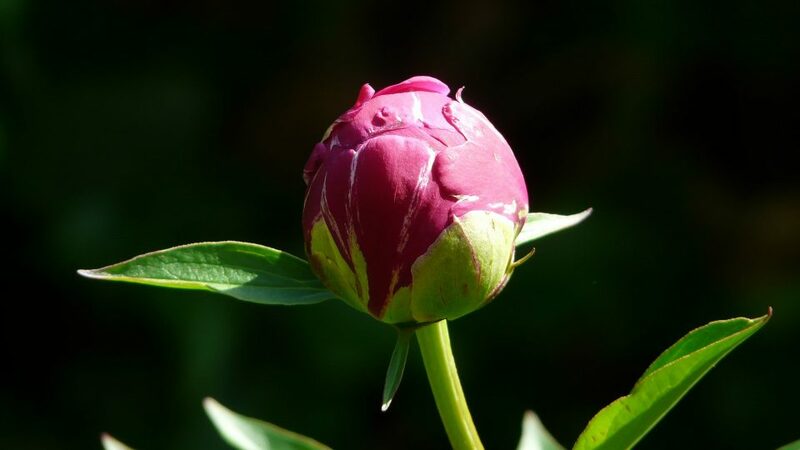 Before writing I walked in my yard, noticing the gentle pink bleeding hearts still in bloom, the brilliant magenta clematis, the rosebush bursting with hot pink, more hot pink on the peony bush, orbs not quite ready to bloom, tiny ants doing whatever they do on peonies. I noticed flowers and plants whose names I’ve forgotten and whose beauty still awes me. Learn from the trees and the birds and the flowers. Learn from the bees and the ants and the squirrels, even and especially if they irritate you. Remember that even as our world is ravished and devastated, it is also ALIVE. Even though we are careless with, even willfully destructive to, our common home, somehow She still graces us with the beauty of new Life. This time of year, God’s uninhibited generosity cannot be denied. Go outside and soak it in. Remember that you, too, are the Joy of Creation, that God delighted in making you as God delights in making All Things.